Does Walker Library have a video library? - Ask Us! Q. Does Walker Library have a video library? Walker Library does not have a separate library, but does include media items as part of the Library collection. The Media Resources guide, part of the Library Research guides page, is a good place to start. From this page you can find out how to search the catalog, learn about streaming videos, information about the media collections, circulation policies and more. 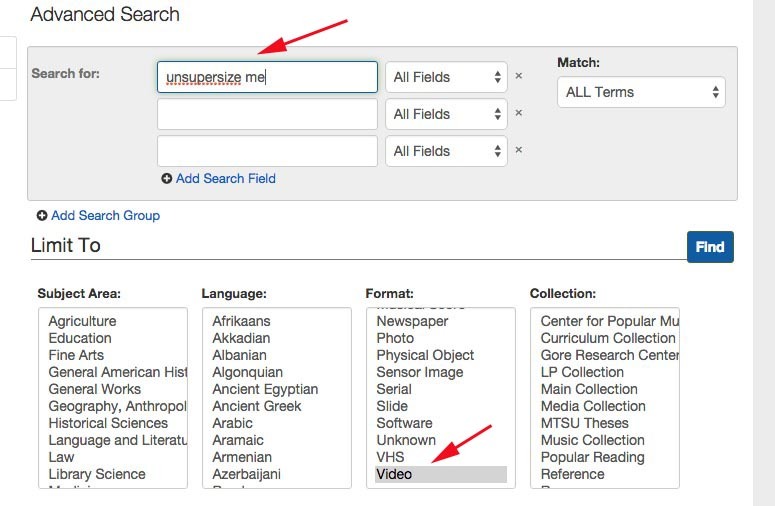 How to Search the Library Catalog for films. From the Library Home page, select the Library Catalog link. Enter the title or keywords for a film. Select Video from the format box in the Advanced Search link on the Library homepage.